Life is never a black and white saga in that sense. It is never only this or that. There can be various permutations and combinations of this and that if you are a bit creative while still retaining the focus. Learn to discover newer ways of living in bliss. Indeed, when we make joy and service the focal point of our lives, we will find newer means of encountering and staying blissful. Master Chef Olivier Roellinger retired from his own three-star Michelin restaurant in 2010 owing to health problems. His love is food and ostensibly his must have been a painful decision to make when he had to exit a line that gave him joy, fame and money. 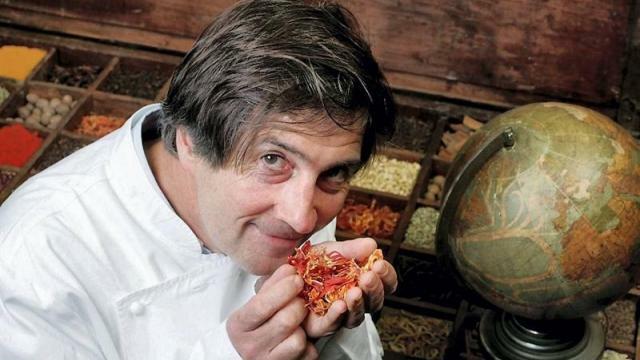 But in less than six months he found a way to follow his bliss by setting up a chain of spice boutiques called Epices Roellinger which doesn’t have the stresses of running a fine-dining place but has the potential to reach a far greater number of people. While his boutiques stock and sell the most exotic varieties of spices, some of them long forgotten, from across the world, Roellinger is intent on paying the farmers, many of whom are currently struggling, at fair-trade levels which is currently four times higher than existing market prices. Roellinger’s story is a humble reminder to us that making money while doing what one loves may not have only one way of doing. That we can all do better than what we are currently doing if we throw in an element of service and create a flavor that’s both unifying and yet distinctly different. “We must increase our capacity to embrace what’s different until one day it becomes a part of us. Ultimately, the intermixing of aromas, flavors and cultures (as in the spices trade) is what’s beautiful about the story of humanity,” says Roellinger. If we reflect on that thought of his, we may find more meaning to our individual pursuit of following our bliss.